WEB Promotion/Search Engine Optimization – Amity IT Solutions Pvt. Ltd.
Amity IT Solutions Search Engine Optimization (SEO) is often considered the more technical part of Web marketing. This is true because SEO does help in the promotion of sites and at the same time it requires some technical knowledge – at least familiarity with basic HTML. SEO is sometimes also called SEO copyrighting because most of the techniques that are used to promote sites in search engines deal with text. Generally, SEO can be defined as the activity of optimizing Web pages or whole sites in order to make them more search engine friendly, thus getting higher positions in search results. Although SEO helps to increase the traffic to one’s site, SEO is not advertising. Of course, we can be included in paid search results for given keywords but basically the idea behind the SEO techniques is to get top placement because your site is relevant to a particular search term, not because you pay. As a small business owner, you probably have a tiny marketing budget if one actually exists at all. The beauty of search engine optimization though is that it’s completely free for you to take advantage of assuming that you have the courage to edit some web pages. 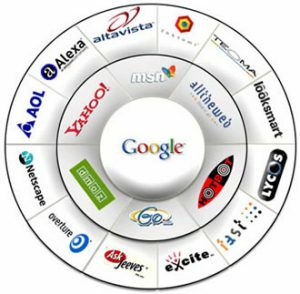 There are literally hundreds of tools available to use that will allow you to download, edit and even research some simple elements of search engine optimization. Beyond that, search engine optimization will provide your business with a long history of leads without any recurring costs. For example, if you optimize your site effectively — visitors can find you from now. If you were to actually spend money advertising the same message — your newspaper, magazine ads and radio commercials would’ve all been out of print or in the trash by that same time. So, to recap here — we’re talking about free traffic, from qualified leads, who are interested in your service. And all that’s required from you is a little bit of passion and patience. Search engine optimization is a long lasting approach to marketing. It’s also forward thinking because it embraces an evolving medium (Internet). It is typically more affordable than traditional advertising techniques. It seeks to connect with people who are already looking for what you offer. It allows you to “pull” qualified prospects toward your products / services.